Bhutan’s first private airline, Tashi Air’s Airbus 320 landed in Paro this morning. 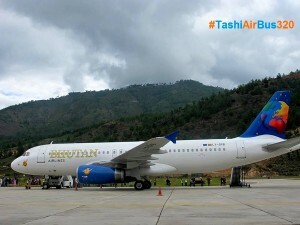 Ashi Kesang Wangmo Wangchuck and the MoIC Minister, D.N.Dhungyel inaugurated the Airbus. The Airbus has 132 economy, and 12 business seats. Commercial flights will begin from 11 October, after an inaugural flight to Bangkok on the 10th.